Sewing Pattern Blog Tour ~ Stef from Girl. Inspired. Today is actually going to be our final stop on The Cottage Mama Sewing Patterns blog tour. Our original final stop, Anna from Noodlehead, had to cancel due a family matter. But I have to say, I think this final stop is going to Knock. Your. Socks. Off. I love Stef from Girl. Inspired. I don’t know how long she and I have been emailing back and forth, but I think if we knew each other in real life we would definitely be friends. She has three beautiful daughters and has a love for all things girly. Her parties are amazing and not only is she a fabulous sewer and designer, but she can decorate a cake like nobody’s business. Let’s head over to Girl. Inspired to check out Stef’s THREE Christmas variations of the ‘Janey Jumper‘ sewing pattern. Come enter to win one of two ‘Janey Jumper‘ patterns that Stef is giving away and check out more gorgeous pictures from her Christmas photo shoot. Click HERE to visit Girl. Inspired. Tomorrow I will be back with a round-up of our six different looks from The Cottage Mama Sewing Patterns blog tour. 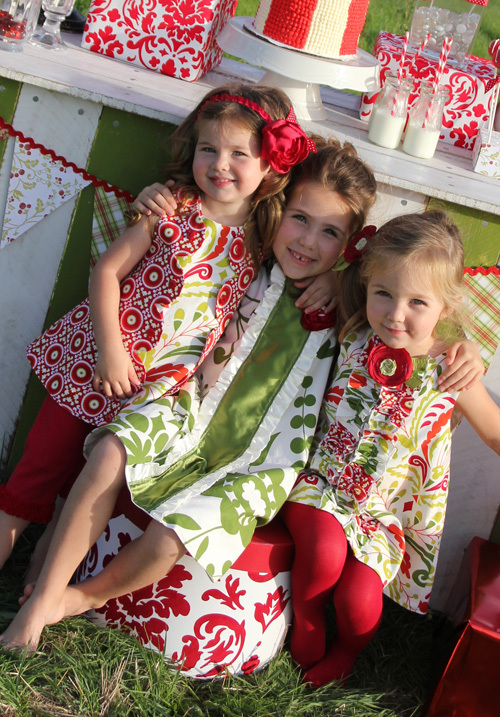 To check out more stops on the sewing pattern tour, see the schedule below……. Patterns can be purchased here on the blog (in the right side-bar) or through my etsy shop, The Cottage Mama. Patterns are also available for wholesale purchase. Please email Lindsay at thecottagemama[at]gmail[dot]com for wholesale order minimums and additional pricing information.